There were so many superb books in 2018 but enough time to get through all of them. And I’m not one to waste time, so that means there were a truckload of great books. Many in-depth books on consciousness studies surfaced in 2018, along with some breakthrough books on spirituality, philosophy, psychology, and optimal performance (including my own book Effortless Living). Last year I mentioned to you how I aspire to read at least 10 books a year and explained that you should also try and hit the target of 5-10 books, as this shows you have not been wasting your time on things that don’t matter. Instead you have invested in yourself. Please let me know in the comments section if you reached this target. Without further ado here are my top five books of 2018 (not all published in 2018). This is one of the most unique and important books of our time (and maybe beyond our time). I discovered this book in a most unlikely place, it was recommended by Swami Sarvapriyananda. You would never think a Hindu Swami would recommend a book on Western neuroscience. But this is what makes Thompson’s book different to the rest. Thompson himself was brought up on Eastern philosophy, especially Buddhism. But the link between Sarvapriyananda and Thompson is that in Waking, Dreaming, Being the organizing principle comes from the first recorded map of consciousness found in the ancient Indian texts known as the Upanishads. According to the Upanishads there are four states of consciousness. There are the common states of waking, dreaming, and dreamless sleep, and then there is the fourth states of pure awareness (turiya) which is found in the Mandukya Upanishad, arguably the most important Upanishad for that fact. This idea of pure awareness pervades Eastern thought, even Buddhism. Modern science, and most people in general, assume that consciousness has a biological origin, most likely in the brain. But contemplatives in the East have studied consciousness for thousands of years and believe that pure awareness is not located in our brain, it has no physical origins (what philosopher David Chalmers calls the “hard problem” of consciousness). This is where Thompson’s experience as a Western philosopher and scientist along with his years of studying the great Eastern traditions are all beneficial. He goes into detail and makes a claim for both sides, is the idea of pure consciousness still a phenomenon of the brain or is it beyond the physical world. In the end, he offers some of the most unique research and insights on the subject of pure awareness in Eastern philosophy. This is one of the most important books for the modern busy world, especially in regards to our health and sanity. Too often people will neglect their sleep to be more successful and get more done. But all this actually does is diminish your chances of being successful and getting more done, as Matthew Walker scientifically points out in his book. People never associate their stress and illnesses with a lack of sleep, as this is an area of research that has been avoided for far too long. Thankfully, Walker has taken the time and effort to scientifically prove to us the benefits of sleep for our health, sanity, and longevity. 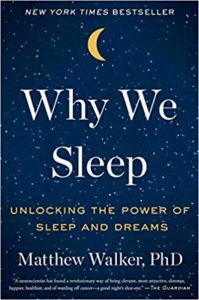 After reading his wonderful book, you will have no other option but to prioritize your sleep because it is the foundational pillar of everything else we experience in life. As Walker suggests, don’t be afraid to drift off to sleep while reading. It is normal to rest and sleep, don’t fight it. This is the foundational text for Buddhist studies and for those who practice Buddhism or are interested in learning. It is the most important Buddhist text to read for any school of Buddhism because it is the original Pali Canon, the actual discourses of the historical Buddha. This book gives you an insight into early Buddhism and the Theravada school of Buddhism. 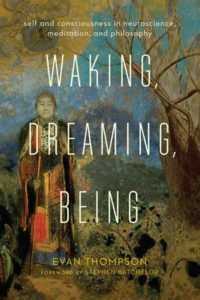 Most people will likely not start with this book when they begin their Buddhist studies, but in an ideal world this book would be the first book you should read on Buddhism and the Buddha. This book will give you a taste of what it is like to read the ancient suttas (sutras) with their unique repetitive style (this may be laborious for those unfamiliar with the sutta repetitive style). 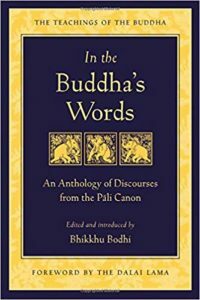 And Bhikkhu Bodhi has done a tremendous job with the translation and commentary which makes for an enjoyable and enlightening read. All of his translations sparkle with clarity and wisdom, but none so more than this amazing book. So if you are interested in the wisdom of the Buddha then begin here to build a solid foundation for your future studies. 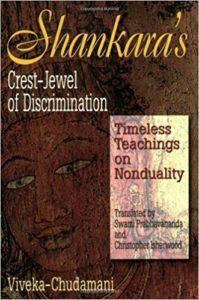 Shankara’s Vivekachudamani (Crest-Jewel of Discrimination) is a pure transmission of the nondual teachings of Vedanta. In some sense, Shankara lays out the nondual teachings of Advaita Vedanta more clearly for everybody than the Upanishads, Bhagavad Gita, and Brahma Sutras. This is because not everybody can grasp the mystical depth of the three main texts of Vedanta. But even though the three main texts of Vedanta are more more important to read and contemplate long-term, the Vivekachudmani is an extension of them and a great explanation of them, especially for people new to Vedanta. Shankara had a wonderful ability to see into the heart of Vedanta and bring back this jewel of wisdom from the eternal ocean of Brahman to the shores of our world. Back in 2015 in my home in Tiruvannamalai and then in a small guesthouse in Mahabalipuram, I had the honor and privilege of writing the foreword for Damo Mitchell’s book White Moon on the Mountain Peak. But in his latest book he has taken his work to a whole new level. 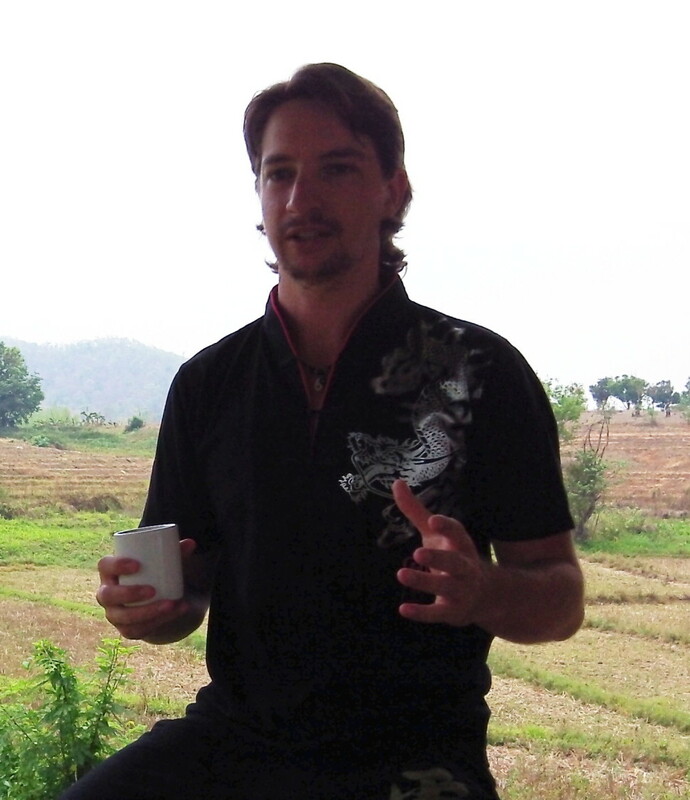 Mitchell has dedicated his whole life to Daoism and the Daoist arts. Not many of us can say that we’ve been studying the internal arts since four years old, but Damo can. With over thirty years of experience, he is an authority on Daoism and especially the path of Nei Gong. 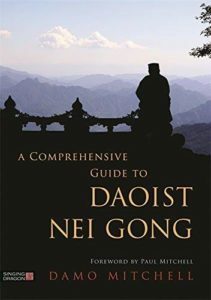 In A Comprehensive Guide to Daoist Nei Gong Mitchell flexes his knowledge like no one else on the topic has ever done before. The book will leave you with a comprehensive view of the Daoist tradition, Qi Gong, Chinese medicine, and martial arts. In this book Damo Mitchell unleashes his spirit for all of us to learn and grow from on the sacred path of Dao. That’s my top 5 books of 2018. What are some of the best books you read in 2018? Leave a comment below of your own personal top 5 books for this year.